PhD and Master students (including students in mobility). The event was led by Mariane Comte, Associate Professor, assisted by UM personnel. François Henn, Delegated Vice-President of International Relations of UM, officially opened the event, highlighting the importance and benefits of Erasmus + projects in general and the relevance of the COMPASS project in particular. 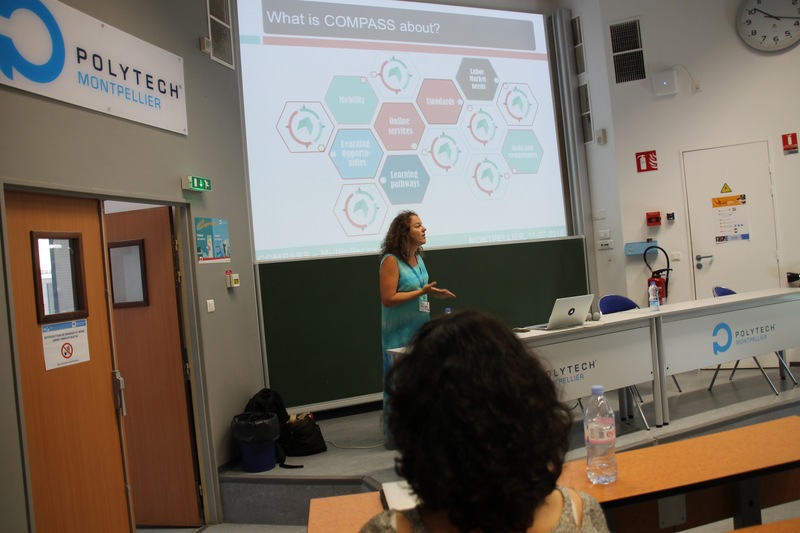 Then Mariane Comte gave an introduction on the context and objectives of the COMPASS project, emphasizing how each of the participant could benefit from the COMPASS tool and online services, would they be Directors, Professors, Researchers, employers or students; would they seek at finding training offers and education pathways or at enhancing the visibility of their training offer. 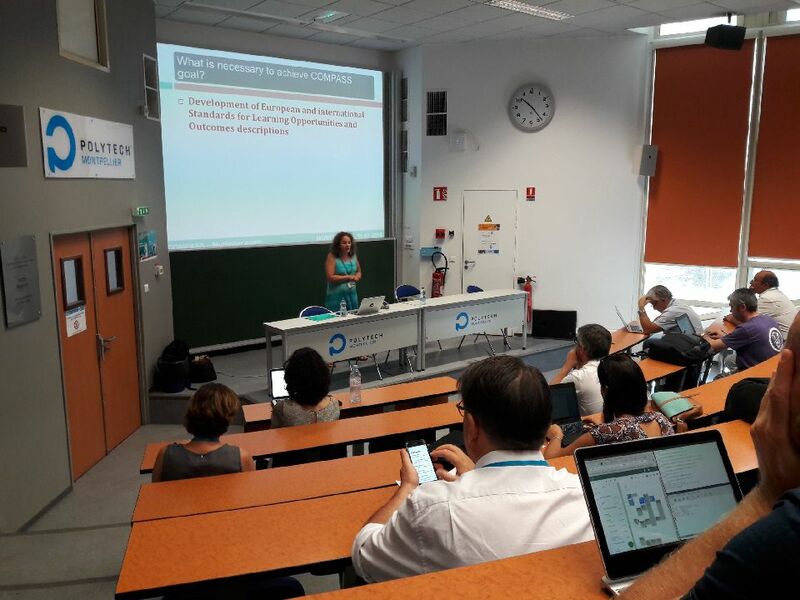 Béatrice Pradarelli then gave an invited talk on the CNFM, French National Center for Education in Microelectronics, which offers amongst others lifelong learning opportunities on Design and Test in Microelectronics. At the end of her speech, she underlined how the COMPASS tool and services would help her Institution to enhance the visibility of the CNFM lifelong learning offer towards the industrialists as well as individuals, and symmetrically how the tool would help the training seekers to find the appropriate offer. IO4 “MOOC on standards-based LO descriptions and the online service” and IO5 “Recommendations for Policy and Standardization development”, by briefly discussing the future activities envisaged in COMPASS that will produce both online courses on how to interact with the services offered and recommendations on national strategies for lifelong learning pathways. Finally, it was time for the hands-on experience. Participants were asked to organize autonomously into working groups. 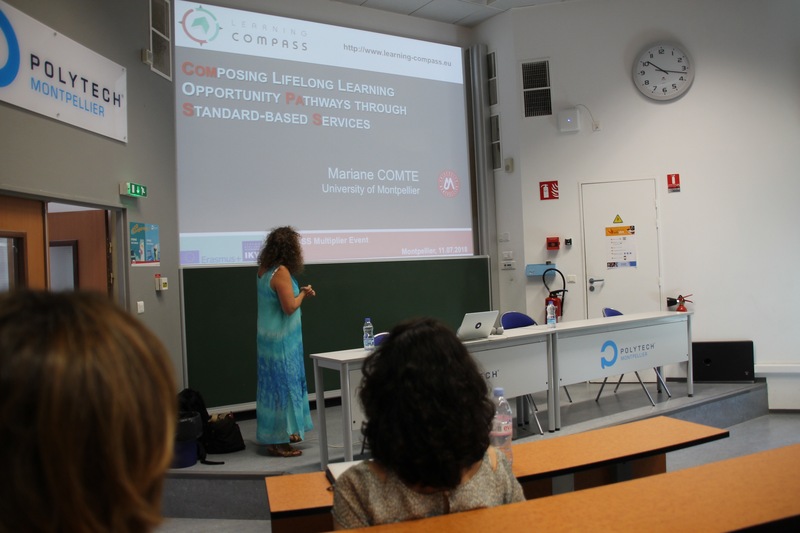 The working groups were given space to work, still being physically in the same room, and an Internet connection to reach the COMPASS online repository to be explored. Participants were asked to engage discussions within each group with the final aim of evaluating the services offered by the repository and providing UM with feedback. The working methodology was left free, although participants were encouraged to write down small notes and then vote proposals for group joint feedback. Participants were requested to pay particular attention to search for potential errors, or difficult or ambiguous concepts and operations which may not be well understood by the final users; and, more generally, to evaluate the applicability and usability of the COMPASS Online Repository for the different stakeholders. The service to compare learning opportunities and search for equivalent opportunities. The questionnaire has been specially designed to comprise closed and open questions that highlight the judgement of the participants on the sub-modules constituting the COMPASS online repository and its services. Participants were also requested to provide feedback about the organization of the multiplier event itself, through another online questionnaire.